It’s always fun to anticipate adding a new member to the family. As with any pet, when you are thinking of getting that cuddly little furball, make sure to do your research and prepare in advance. Then, you and your furry friend both will adjust well to your new life together. The smallest of the small breeds include: Affenpinscher, Brussels Griffon, Chihuahua, Japanese Chin, Maltese, Papillon, Pomeranian, Russian Toy, Toy Fox Terrier, and Yorkshire Terrier. The first rule of pet success is get to know your breed. 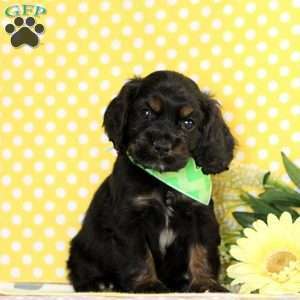 Each breed tends to have its own personality traits, grooming needs, eating habits, etc. Read as much as you can before picking your dog. Tiny and adorable – many people just can’t resist the urge to own one of these “portable” pups simply because they can go anywhere and be carried easily. So you might ask, “What’s the big deal about a little dog?” There are many things to keep in mind. Many breeders release puppies at 10 weeks of age or later. If you get your puppy at this very young age, it’s important to keep in mind that you need to know where your tiny puppy is at all times. You would never want him to be stepped on, accidentally kicked, sat on, or injured without knowing he was there. One of the best tricks is to use a collar with two or three bells attached (a cat collar can work well, too). This lets you know when your puppy is underfoot and helps avoid these types of accidents. If your puppy falls asleep in the middle of the floor, or on a comfy sofa somewhere, move him to his bed or crate or otherwise safe location. Feeding your tiny puppy is another responsibility to consider. Since they have very small stomachs, the tiniest breeds will require more frequent feeding – especially when they are very young. Talk to your breeder or owner about eating habits and frequency of feedings. Make sure you take time to transition him from the food they have grown up with to the food you select. By asking questions and planning ahead, feeding should not become an issue. Just make sure you have the time to commit, and that you keep your tiny puppy properly fed and watered. Always choose quality food products for your furry friend. 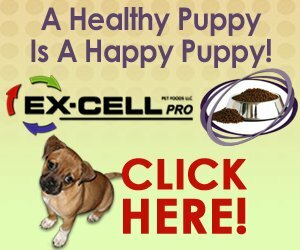 It’s worth a little extra investment to help keep your puppy eating well. Another thing to remember is that you don’t want to carry your tiny puppy everywhere. Puppies, just like babies, need to exercise and build their muscles and ligaments. Their joints and bones are still developing, and they are susceptible to injury. So even if you just adore your furry friend, put him down to give those limbs the exercise they need for good strength and development. But be warned! Little puppies often love to leap. You will want to ensure that your puppy is not leaping off tall furniture in a single bound. This can injure their joints and cause them problems later in life. When taking your tiny puppy on adventures, remember that it takes only a short walk for them to tire out because it takes them a lot more steps to get there! So don’t overdo it either. Many small dog owners say that their dogs still have accidents in the house. When you commit to a little dog, recognize that you will need to make more frequent trips out for toileting. House training requires immediate, consistent, and vigilant effort from you. Considering a tiny puppy’s bladder can only hold around a tablespoon of liquid, you understand that more frequent bathroom breaks are needed. You will need to take him out very frequently, especially until he learns the routine of going outdoors. Times to always take your puppy out for toileting are: after meals, drinks, play, and waking. Often a puppy will stand still for just a bit right before letting loose. Try to keep a constant eye for any signs that your puppy needs to toilet – especially in the early weeks. This may mean trips outside as frequently as every 15 or 30 minutes! That’s a lot of work, but well worth it. As the puppy grows and his bladder strengthens, there will be longer periods of time between trips outside. However, don’t expect him to be able to hold it for 8-10 hours. If your puppy has accidents, be sure to properly clean-up so that the residue and scent are eliminated. If these measures are not taken, the puppy will go in those same places over and over again. Commitment, consistency, and persistence are keys to properly house train your small breed dog. Often, people will complain that small dogs are yippy and nippy. Although small breeds tend to be vocal, socialization and proper training early on can have a hugely positive impact on these behaviors. 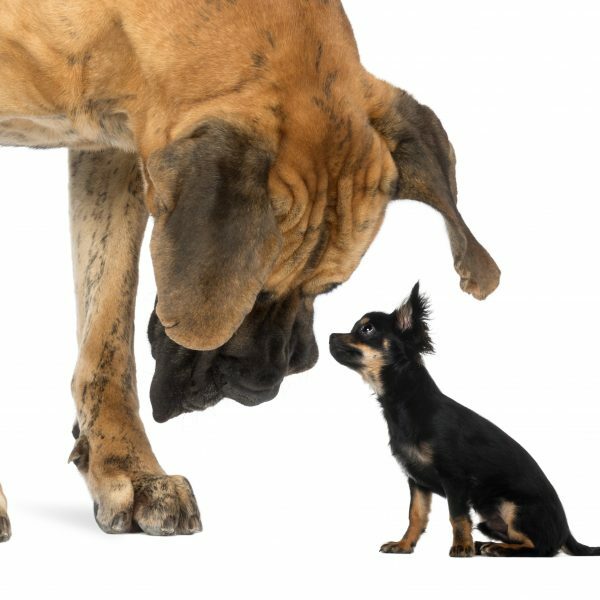 Tiny breeds are just as smart and eager to please as their larger counterparts. They can easily be taught manners such as not nipping at people when they are excited. Providing frequent stimulation, and plenty of chewable toys, helps keep your puppy from developing some of the more destructive behaviors. Teach your puppy right from the beginning which things belong to him for play, and chewing, and which things do not. But don’t expect him to know the difference between chewing an old shoe versus chewing that expensive leather pair you just bought. To him, a shoe is a shoe and he needs to know they are off limits. There are many items on the market to help during the teething stage, because those tiny puppy teeth are like needles when they decide to gnaw on a toe! When it comes to barking, remember that it’s natural for some breeds to warn you when they hear something you don’t. Or, your puppy might be trying to tell you something. If you ignore it, you may unwittingly encourage the barking. Maybe he’s hungry or thirsty, maybe he’s bored, or perhaps he’s ready for that potty break. Paying attention to the signals our pets give us is an important part of ownership. However, you don’t want your puppy to be yap-happy and barking at everything. This is another reason why socialization at a young age matters so much. Exposing your puppy to a wide variety of experiences will make him more comfortable and relaxed. The more comfortable and relaxed you can help your puppy be around others (people and pets), the less likely he will become a yippy dog. This may take some time and effort on your part. Plan outings that will include exposure to different sounds, environments, people, and animals. In this way, you give your puppy a good foundation and create familiarity with things he might encounter day to day. After all, less fear means less barking. These health issues can occur in all breeds, but tend to be more common with small breeds: Patellar Luxation, Intervertebral Disk Disease (IVDD), Pancreatitis, Brachycephalic Airway Syndrome, and Ectropion. It’s important to take time to become familiar with some of the more common illnesses, so you can recognize symptoms if your puppy would experience them. As with anything worth doing, owning a new pet brings challenges to accept. When you decide to bring home that tiny puppy, you can ensure success through education, preparation, and planning. Being aware of what it takes to make your new companion a happy, well-adjusted member of your family will make the journey easier for you both. Eventually, you won’t be able to imagine life without your bestie by your side, and your puppy will be able to bring years of joy into your home.